The interim superintendent and former longtime leader of MSAD 1 has advised the board of directors to push back discussions of district right-sizing until a new permanent superintendent is in place. 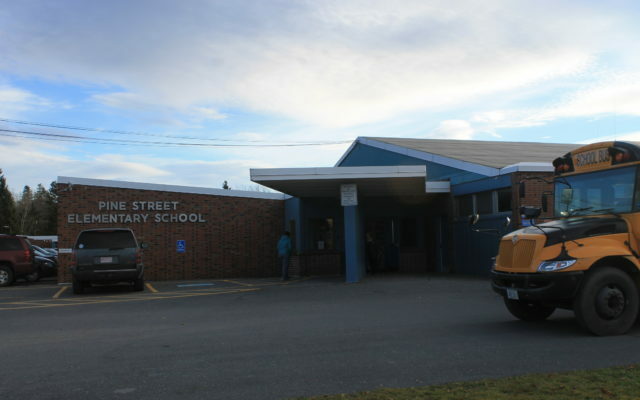 PRESQUE ISLE, Maine — The interim superintendent and former longtime leader of MSAD 1 has advised the board of directors to push back discussions of district right-sizing until a new permanent superintendent is in place. Gehrig Johnson, who is serving as MSAD 1’s interim superintendent until June, said that he’s working on a few issues while helping the district through the next budget cycle, including a short-term fix to the roof at Pine Street Elementary School. “I’m here for six months to deal with the immediate issues and try to make recommendations to the board until they get the next administration in place,” said Johnson, who was hired on an interim basis in late January following the resignation of the former superintendent. “I have recommended that SAD 1 board table the right-sizing initiative until the next superintendent has been hired and has had time to weigh in,” Johnson said. In November, 56.5 percent of district voters rejected a $15 million bond proposal that would have closed Pine Street and Zippel elementary schools and expanded the current middle school into a pre-K to 8 facility. The administration and board proposed the initiative in an effort to address declining enrollment and bring down overall building maintenance costs, including the need for repairs to the roof of Pine Street. Previous estimates for fixing the roof for the long-term cited figures of $2 million or more, but Johnson said he’s recommending that the district invest $75,000 to $100,000 for roof repairs that would last up to a decade. He said he’s working with Powers Roofing to devise a plan for the patching and repairs. “We’ll be including that in the next the budget,” Johnson said. “There are some leaks” at Pine Street. Johnson said he also was asked by the board to conduct a review of the school farm program, and help plan for the possible replacement of the middle school athletic complex turf with a synthetic grass system. The current natural turf system installed in 2006 is nearing the end of its life, Johnson said. The goal would be to have new turf installed in time for Presque Isle to host the class C and D high school state soccer championship games in the fall of 2020. “We’re developing a plan that would replace the turf and will bring that into the March meeting,” he said.